Gammalon for children: is it really effective? Let us discuss the use of gammalon to support the development of children. If you give gammalon to children, then you can count on the accelerated development of the child’s brain, increasing concentration and attention, accelerating the development of speech and cognitive skills (reading, understanding, etc.). For this reason, and also because of the complete safety of Gammalon for children with strict (!!!) observance of these dosages, this medicine is becoming increasingly popular among mothers who want a better future for their children. 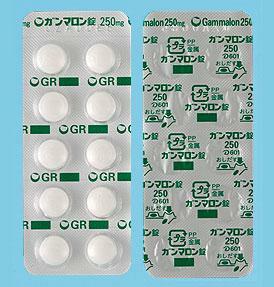 Please note that Gammalon can lead to increased excitability and low mood, however, these side effects are quite rare. Gammalon and developmental delays in childhood. Structural transformations have made it possible to actively use gammalon from Japan for the maintenance treatment of patients with a wide range of diseases, such as developmental delays, mental retardation and Down syndrome, senile dementia and Alzheimer, and a number of other serious diseases. Of course, no one talks about curing the symptoms of Down's disease or Alzheimer's, but certain improvements are noted with prolonged and, most importantly, regular intake of this medicine. The same applies to the use of Gammalon for the treatment of senile symptoms - dementia, Alzheimer's syndrome and others. The principle of operation of Gammalon molecules is the same - because, thanks to the specific structure, Gammalon generaly normalizes the work of nerve cells and helps restore neural connections that are destroyed or not fully formed in a particular disease. Of course, it implies a comprehensive treatment in any of the above cases, but the real Japanese Gammalon is able to give positive results and stable dynamics, proven by many years of research.